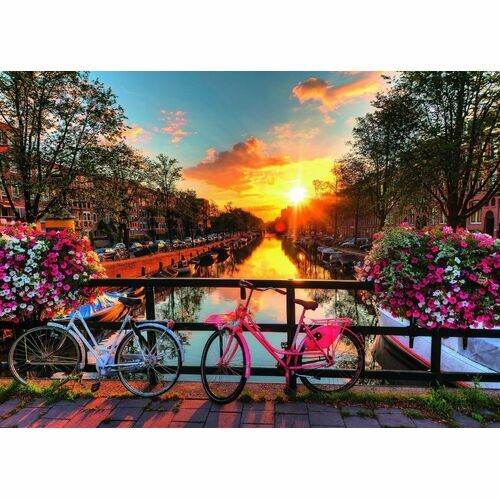 Has Amsterdam ever looked prettier or more romantic than this? 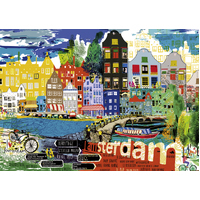 This detailed and colourful painting depicts early evening in Amsterdam. 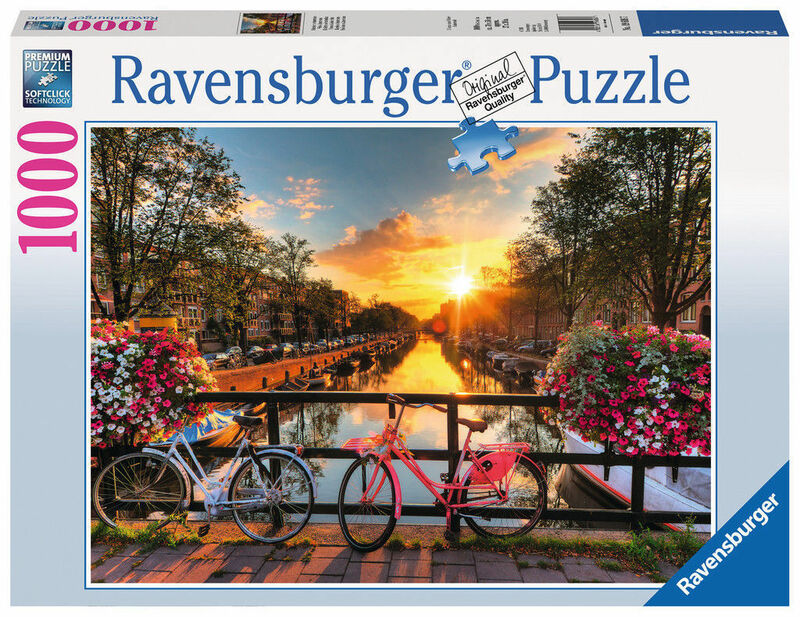 A pink and a blue bicycle are at "rest", nestling amongst baskets of flowers displayed on one of the city's many bridges. 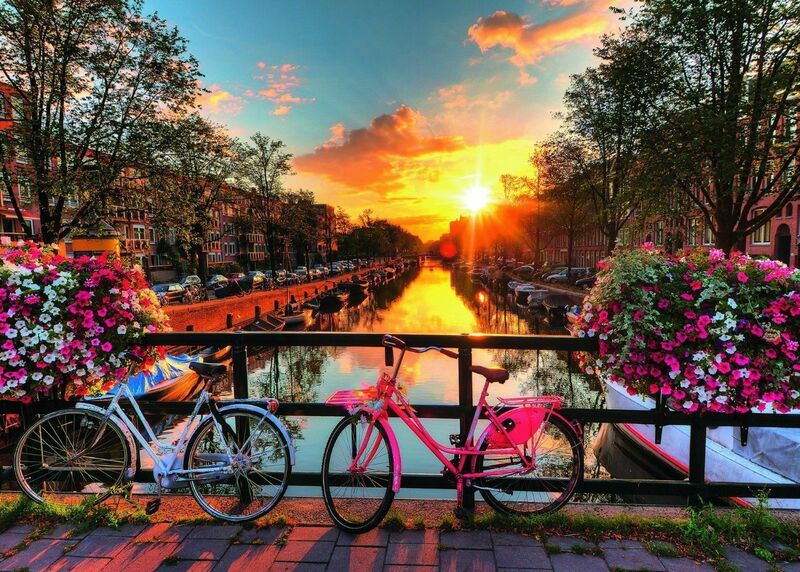 The canal and sky are alight with beautiful blue, gold and orange sunset tones, and the scene gives us a view of the trees and houses alongside the waterway. 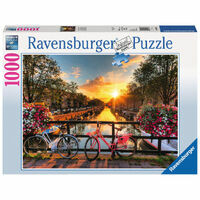 This puzzle would make a lovely gift for anyone who is about to, or has visited, Holland's capital city.